Another Pitch Contest means another chance for my YA sci-fi/fantasy epic 151 to get some time in the spotlight and a chance to catch the eye of a hungry literary agent. 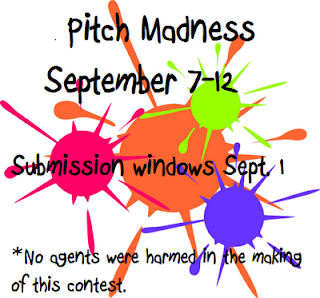 This contest, called Pitch Madness, is kindly hosted by author Brenda Drake and her team, which includes Shelley Watters and Erica M. Chapman. Unlike the contests that I've entered in the past, this one doesn't ask for a query. Instead, it is much more streamlined, asking only for a 35-word (!!!!) pitch followed by the first 150 words of the manuscript. It might seem like contests like these are a nuisance, something to distract you from tightening that manuscript or getting out that query, but in truth it's the exact opposite. Contests force you to take another look at your query or hook, with fresh eyes, and to make further edits that, in most cases, makes it better. In the case of the Pitch Madness contest, the focus on a succinct and grabbing pitch is the key. Pitches are the heart of what it takes to hook readers and win agents, and they're one of the hardest things to do. Forget 1-page synopses or 1-paragraph queries, how the heck is a writer supposed to boil down their 96,000-word epic into a streamlined 1-liner? This story isn't meant to be told in an elevator, you know, it's meant to be read! BUT... if no one picks up the book, and no agent looks beyond the first line, it will never be read, at least not in the traditional way. So pitches are a necessary evil, and getting yours down can only help make your entire manuscript better. Seventeen-year-old Aeneas doesn't belong to a Colony. As the bloody scars on his back remind him, he was one more than needed, one more than necessary. In the world of ONE FIFTY ONE, people live their entire lives in Colonies of one-hundred and fifty people—no more, no less. ONE FIFTY ONE combines the totalitarian themes of The Hunger Games with the spirit of adventure from Star Wars. An outcast boy from the Underground falls in love with an orphaned girl from the Colonies and joins her rebellion against a power-hungry Chieftain with ties to his mysterious past. This pitch is more synopsis-ey than the others, but I feel that it gives you enough information about what happens in the story and combines that with tiny words and details—from "outcast" and "Underground" to "Colonies", and "rebellion"—that make you want to know more. It's tight, it's true, and it differentiates. I kinda like it! Stay in the 150, you live. Fall out, and take your chances down below. In ONE FIFTY ONE (a YA sci-fi/fantasy complete at 96,000 words), an outcast boy from the Underground falls in love with an orphaned girl from the Colonies and joins her rebellion against a power-hungry Chieftain with ties to his past. 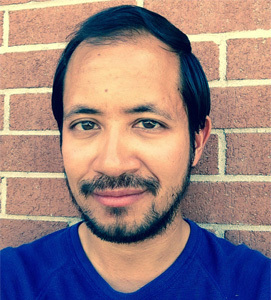 17-year-old Aeneas doesn’t belong to a Colony. 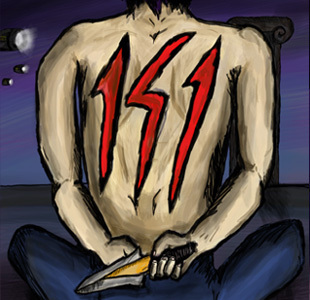 As the bloody scars on his back remind him, he was one more than needed. One more than necessary. He survives as a thief in the depths of the Ilium Underground, until his world begins to slowly fall apart: a mobster tortures him for secrets, the band of pirates that raised him is slaughtered in cold blood, and the Secret Police seem to be following his every move. Then he meets Casseopea, and his world gets turned around once more. All is not well in her Colony: the new Head Mistress is terrorizing its members, a secret rebellion is brewing, and the Chieftain has cast her out in order to help him find an mystical Key. Only by joining forces with this girl from the Colonies will Aeneas learn the truth about his past, unlock the power of the Key, and change the fate of Ilium forever. So! These contests, and this one in particular, turn out to be much more helpful than they seem. Now if I could only make some headway in one of them... that would be the most helpful thing of them all. Wish me luck!